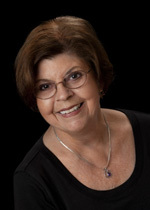 Margarete Thomsen has been teaching piano for over 40 years. In addition to having completed the Doctor of Musical Arts degree, Dr. Thomsen is member of the Music Teachers National Association (MTNA), the Michigan Music Teachers Association (MMTA), the Livonia Area Piano Teachers Forum (LAPTF), and the National Federation of Music Clubs. She serves as the State Chairperson for Student Achievement Auditionsand she is the current President of the Livonia Area Piano Teachers Forum. In addition to the DMA, Dr. Thomsen holds a bachelor's degree in music, a master's degree from the University of Southern California in piano performance, and a master's degree from the University of Michigan in music theory. Dr. Thomsen is a Michigan Music Teachers Association certified teacher and she is completing her MTNA national certification. An active performer, Dr. Thomsen volunteers her time to perform for residents of the Plymouth Inn as well as at other assisted living facilities in the area. She regularly substitutes as organist at area churches. Piano students enrolled in Ars Musica are offered a well-rounded program of instruction with training in repertoire, theory, musicianship, ear training, technique, music history, improvisation, sight-reading and ensemble playing. For all students, the Private Lesson is the core of instruction. During this time students have the privilege of performing/working on a beautiful Bösendorfer grand piano, Model 225. We work to develop a good piano technique, strong music-reading skills, clear understanding of music theory as applied to the pieces at this level of study, and explore a variety of music styles and forms. For most students, the lesson is supplemented with a Computer Lab Session. In Computer Lab, students use up-to-date as well as established music education software to reinforce and expand learning. Excellent article: Click here to read this blog entry about the complexities of learning to play an instrument. Yes, it is difficult; yes, it is worthwhile.